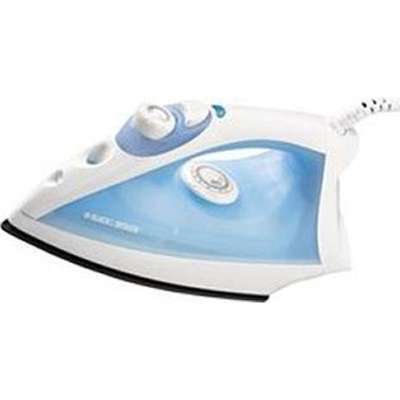 Simple, easy and convenient, our steam iron lets you fight tough wrinkles without a hassle. The SmarTemp system ensures you're ironing at the right temperature with a simple indicator light that shuts off once your exact temperature setting has been reached. All this, plus a variable steam selector that lets you choose the amount of steam you need. Nonstick Soleplate Variable Steam Spray Mist Fabric Guide Translucent Water Tank 360 Pivoting Cord. Blue.